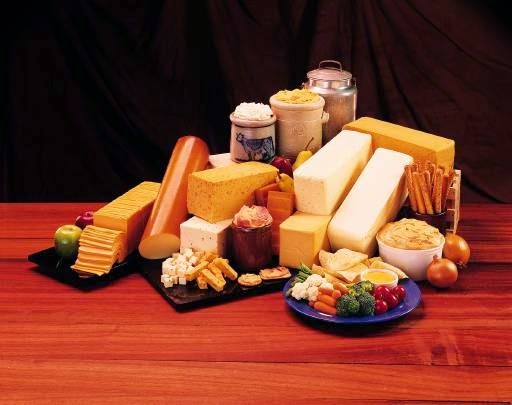 Dairy foods: Formulating for specific consumer segments. “Identify an audience, then develop products that they will want and need,” said Connie Tipton, president and CEO of the International Dairy Foods Association at Dairy Forum 2015 this week. During Tipton’s keynote address, she discussed how the standards of identity for cream, milk, ice cream, sour cream, yogurt and some types of cheeses (yes, dairy is the most highly regulated food category!) impede innovation. To read about “Leveling the innovation playing field,” link HERE to my Food Business News column from this week. It’s not that the industry wants the standards of identity to go away, but modifications that speak to the needs of the 21st century consumer would be appreciated. This includes technologies such as filtration to increase protein content and remove fat and lactose; addition of concentrated milk ingredients to boost protein; the use of non-nutritive sweeteners to lower added sugars (read more HERE), the use of enzymes to lower added sugars (read more HERE) and the use of certain fiber food ingredients to lower added sugars and boost fiber content (read more HERE). 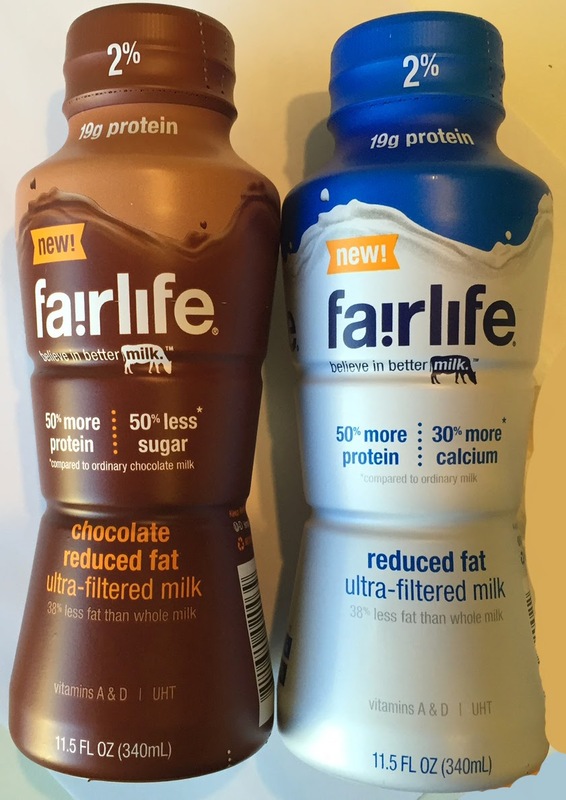 Fairlife is labeled milk, but the standards of identity require so much additional verbiage to use the word milk, that the product description starts to sound like it was made in a lab, something critics have been quick to say. This is not the case. Fairlife is farm-fresh milk pasteurized and processed using modern filtration technology to produce a nutritionally superior milk product. The technologies mentioned apply to all dairy foods, in particular fluid milk, which has been making headlines this week, as Dairy Forum served as a platform for the debut of MilkPEP’s new campaign Get Real. It is supported by a new website that you can access HERE. In the spirit of Super Bowl weekend, it’s accurate to say that the milk industry is finally playing offense. The new initiative, which was officially announced by MilkPEP CEO Julia Kadison on day two of the four-day forum, is countering the misinformation about milk that’s abundant in consumer media. 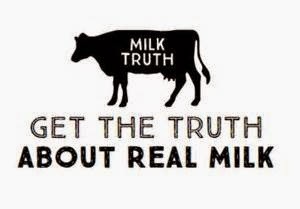 Through the use of industry experts, sound science and third parties, the campaign is designed to set the record straight about milk. It will help take back the conversation about milk, correcting misinformation and communicating the unique nutrient contributions and health benefits of milk, according to the campaign backgrounder. Speaking of Super Bowl, the NFL event of the year, let’s talk about formulating and marketing dairy foods to specific consumer segments. 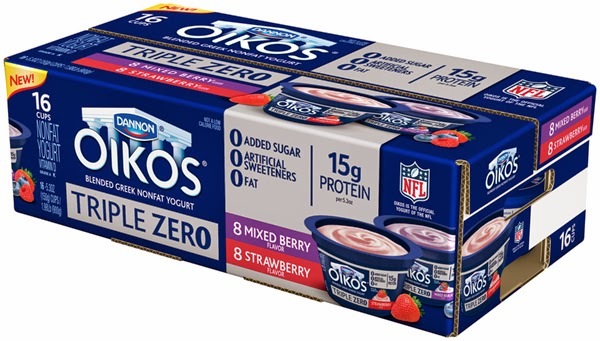 In an effort to engage with a wider audience, Dannon’s Oikos brand became the Official Yogurt of the NFL and introduced a product designed to appeal equally to both men and women: Oikos Triple Zero. Through these efforts, Dannon is changing the current market where yogurt is disproportionately consumed by women as compared to men. 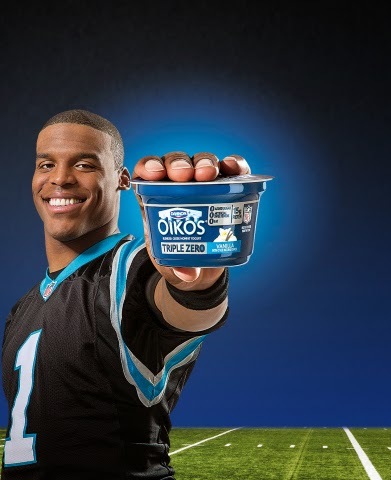 Dannon teamed-up with Carolina Panthers quarterback Cam Newton, to bring consumers a new protein snack in an unexpected location--the yogurt aisle. In a new advertising campaign unveiled on January 12, Dannon and Newton encourage consumers to look beyond traditional staples for protein. Recruiting shoppers from the protein snack aisle into the yogurt aisle, the Panthers star puts his own personal flair in helping to change people’s snacking habits. Dannon packs 15 grams of protein into each 5.3-ounce single-serve cup of Oikos Triple Zero. The “triple zero” refers to the fact that the yogurt has zero added sugar, zero artificial sweeteners and zero fat. To sweeten the yogurt without adding sugar, the formulation relies on a variety of technologies, including stevia; chicory root fiber, which contributes sweetness while also delivering 6 grams of fiber per serving; and the lactase enzyme. Tipton explained how when we think of traditional dairy--wholesome, good-for-you, most perfect food, does-a-body-good, reliable, affordable and tasty--all come to mind. But today’s diverse consumer hungers and thirsts for more than foods with these descriptions. Tipton told Dairy Forum attendees that today’s consumers, in particular the millennial generation--people born between 1977 and 1994--have a growing inventory of questions they want answered. “For example, were the cows cared for humanely? Was it a large farm or small farm? What were the cows fed? Was the farm environmentally responsible? How far was the milk transported from the farm to processing? And how long from farm to store? Did the processing facility employ sustainable practices for precious resources like energy and water? Is the packaging recyclable? All of these are potential factors that can make or break a consumer’s purchase,” said Tipton. At the opposite end of the age spectrum are those consumers who are 50 and older. (I’m not there yet; but my husband is, and I love his AARP discount!) This sea of gray is a great opportunity for dairy. According to “Enrich Life Over 50,” an organization dedicated to enhancing the quality of life for this demographic, current Census Bureau figures say there are 109 million people in the U.S. who are 50 and older, which is one-third of the total population. “This segment owns or controls a staggering 70% of the total accumulated private wealth in America and accounts for 50% of the total annual consumer spending,” said Tipton. “Their first project is the development of a national campaign to attract ideas for completely new products and services that will enhance the quality of life for people 50-plus, with awards up to $50,000 for ideas that have the maximum marketability potential.” We can do this!!!! So what does this group want from their foods? According to an article in Nutraceuticals World, Baby Boomers, which includes those just turning 50 and older, want more nutraceutical ingredients in their everyday foods and beverages. You can access this article HERE. 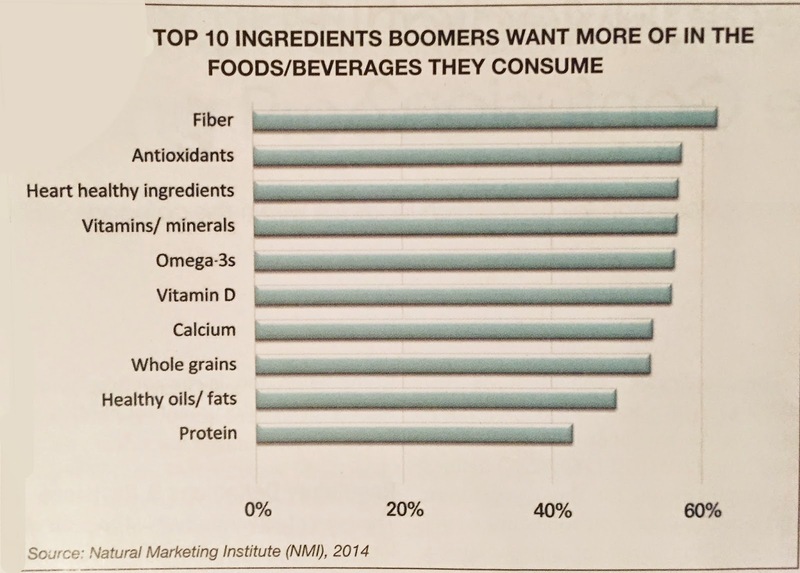 The number-one nutrient this demographic wants more of is fiber. Many dairy foods, including frozen desserts, milk and yogurt, are excellent deliver vehicles for fiber. Certain fiber ingredients can also assist with fat and sugar reduction. There are an array of other ingredients that can turn already powerful dairy foods into highly functional dairy foods that today’s and tomorrow’s consumers will crave. Read more HERE. Just remember Tipton’s powerful message. “Identify an audience, then develop products that they will want and need.” That’s how to score a touchdown in the dairy industry! Tipton’s full speech is available HERE. The Winter Fancy Food Show took place two weeks ago in San Francisco. It took me nearly five hours to walk more than seven miles (according to my Fitbit) to take in the entire show. The headline of my post-show Food Business News column sums it up well: Cheese innovations take center stage at Winter Fancy Food Show. You can read the column and view the slide show HERE. Natural cheese exhibitors were abundant and very impressive, but I noticed a trend of another cheese format. I’ll refer to them as "process-style specialty." It’s within this segment that some very innovative and on-trend creations are emerging. For the record, “natural” refers to the cheesemaking process where milk proteins coagulate by fermentation, enzymatic reaction or direct acidification; curds develop flavor through the addition of bacteria, mold or yeast; and whey drains and curd is collected and molded, pressed or stretched. Natural cheese is considered a living system, as the cultures and enzymes remain active through shelf life. Legally in the States, the term is “process” cheese, not “processed” cheese, and is always preceded by the descriptor “pasteurized.” There are a number of standards for various pasteurized process cheesy concepts in the States and they can be found in Part 133 of Title 21 of the Code of Federal Regulations, which can be accessed HERE. But here’s the deal, processed or process, whichever term, in this day and age of consumers seeking out clean, simple and minimally “processed” foods, using either word on package labels or marketing materials can be an aversion to many consumers. Moving on...any American who has traveled outside the States knows that process-style cheeses are not only more dynamic in other countries, they are readily embraced as a snack and cooking condiment. Their formulation, shelf life and performance renders them suitable for all types of innovating. They can easily be made into portable snacks, one of the hottest trends these days. 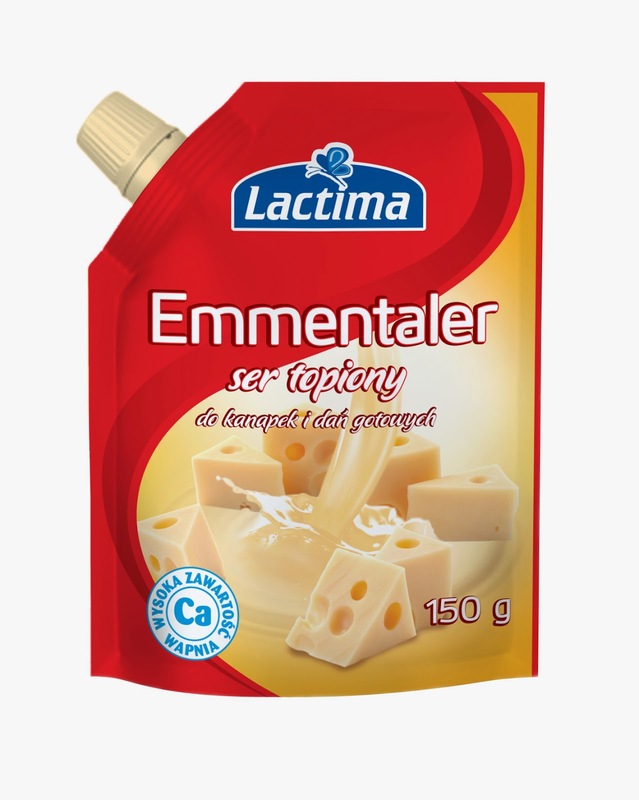 To read more about “Cheese Trends: Portion Packs.” Link HERE. Now, check out these 10 recent innovations. 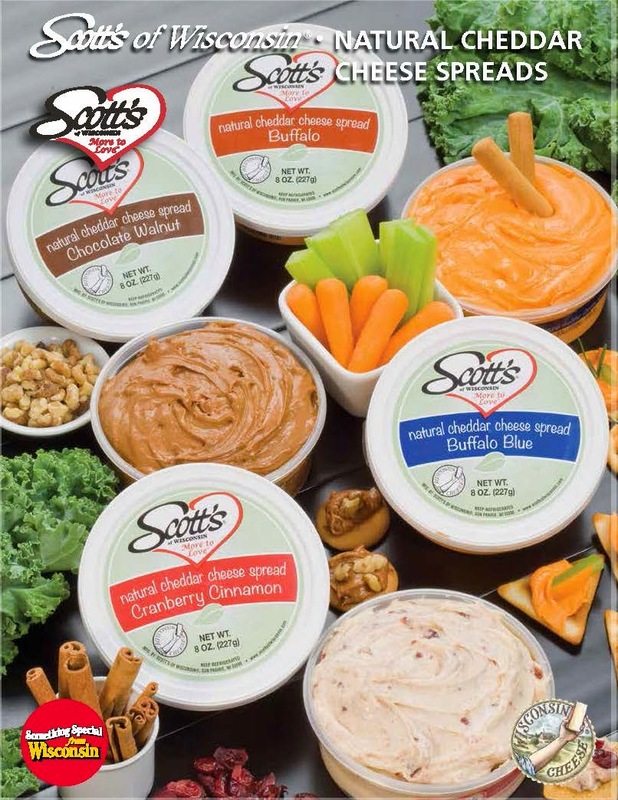 Scott’s of Wisconsin recently debuted four varieties of Natural Cheddar Cheese Spreads. Varieties range from on-trend Buffalo and Buffalo Blue to the sweeter side, with Cranberry Cinnamon and Chocolate Walnut. And yes, that is cheddar with chocolate. 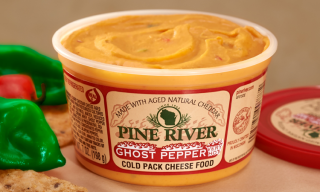 Pine River Inc., offers a range of cold pack cheese food spreads, with its most recent addition being Ghost Pepper. At the Winter Fancy Food Show the company sampled a Kimchi prototype that is to die for! The company, too, has a new spreadable chocolate cheese that is more than 51% dairy, allowing it to sport the Real Seal. Pine River Dairy Fudge is a sweet chocolaty, protein-packed spread based on American cheese. It’s great with graham crackers, pretzels and apple slices. 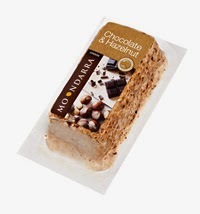 Moondarra Cheese Pty Ltd., of Australia, exporters to the States of its namesake uniquely flavored cream cheeses, now offers Chocolate & Hazelnut and Bruschetta varieties. The brand is known for its use of large, identifiable pieces of flavorful ingredients. Popular favorites include Apricot & Almond, Cranberry & Macadamia and Fig & Walnut. The product has an 8- to 10-month refrigerated shelf life. Beer and cheese go together, too! 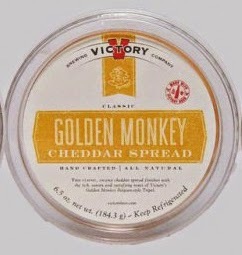 Two local Pennsylvania companies—Victory Brewing Company and Key Ingredient Market--have joined forces to create the ultimate in cheddar cheesy, craft beer goodness: Victory Cheddar Spreads. 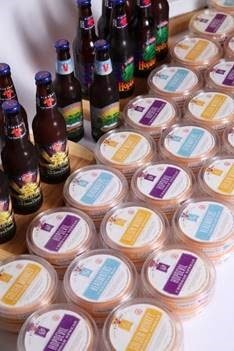 The joint venture offers three head-turning cheddar cheese spreads that blend specialty Wisconsin cheddar with best-selling Victory beer brands. Varieties are: HopDevil Cheddar Spread (bold and balanced flavors of HopDevil Ale with jalapenos and chipotles in a creamy cheddar base), Headwaters Cheddar Dip (a blend of pineapple, papaya, ginger and curry with the crisp, clean essence of Headwaters Pale Ale) and Golden Monkey Cheddar Spread (the spicy, herbal qualities of the light-bodied, full-flavored beer with the classic, creamy tang of cheddar). Here’s another head turner. 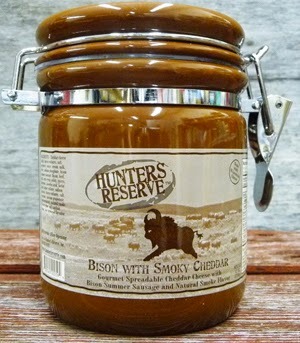 Hunters Reserve blends game meat with cheese for a flavorful spread. This Minnesota-based game meat purveyor offers these four varieties: Bison & Chipotle Cheddar Cheese, Elk & Roasted Garlic Cheese, Pheasant & Smoked Gouda Cheese and Venison & Queso Cheddar Cheese. Available in foil-sealed 3.5-ounce cups--individually, in variety gift packs or three same cups in a 10.5-ounce ceramic crock with lid—the shelf-stable dips can be served hot or cold. Each gourmet cheese cup contains a unique blend of creamy Wisconsin cheese surrounded by tiny morsels of the company’s signature wild game summer sausages. 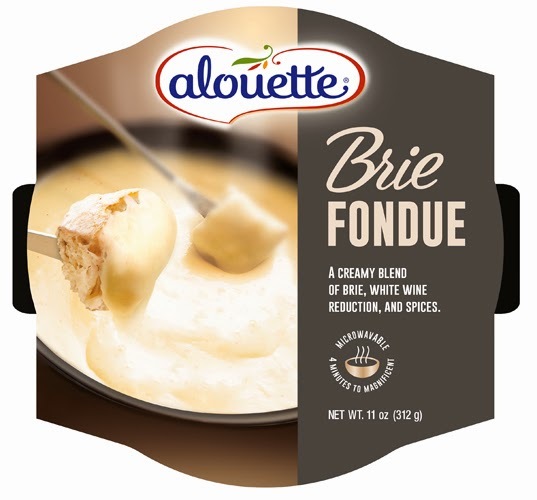 On the tamer side of flavors, BC-USA recently introduced Alouette Brie Fondue, a 4-minute microwaveable fondue featuring brie cheese, a white wine reduction and spices. The new concept debuted for the Christmas holidays, making it easier for entertainers to serve a rich, creamy gourmet fondue perfect for dipping bread, fruit, veggies and more. At that time, the company also added Cranberry Apple Spice Soft Spreadable Cheese to its Alouette spreadable line. Bel Brands had something new for the holidays, too. 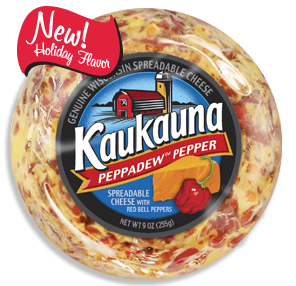 Introduced under its Kaukauna Cheese label, new Peppadew Pepper Spreadable Cheese Ball combines peppadew, red bell peppers and cheddar cheese. Pimento pieces look like peppadew and are the characterizing ingredient in pimento cheese spread, a staple in most southerners’ kitchens and now making its way across the States. This concept has real potential everywhere. It makes a great dip, bread spread and appetizer. 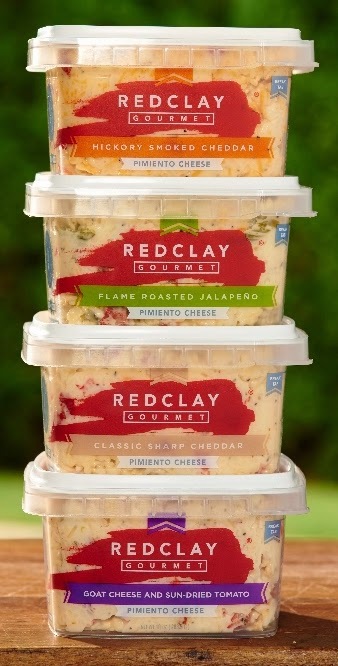 Red Clay Gourmet markets a line of namesake pimento cheese spreads. Handmade in small batches using local ingredients, the spreads come in four varieties: Classic Sharp Cheddar, Flame Roasted Jalapeno, Goat Cheese & Sundried Tomato and Hickory Smoked Cheddar. The recipe starts with aged, extra sharp white cheddar shreds. The firm texture of the aged cheese allows for the use of very little mayonnaise, as compared to other pimento spreads in the marketplace, according to the company. This is a huge selling point for most of their customers. In the marketplace for about a year, these process-style cheeses comes in four varieties: Blue Cheese, Emmentaler, Gouda and With Mushrooms. The cheese can be squeezed onto sandwiches, pasta, veggies and more. The product is available for export and has a 4- to 6-month shelf life. This product line screams convenience. Brie gets more convenient. Lactalis introduces President Wee Brie, a creamy, brie-flavored spreadable cheese made from Wisconsin milk. These individually wrapped 40-calories wedges, which come in wheels of eight, are great for on-the-go snacking and lunchboxes. I think you would agree these products are far from plastic-wrapped slices. They are “Process-style Specialty Cheeses,” a term coined by BerryOnDairy. On Dec. 15, 2014, the U.S. 2015 Dietary Guidelines Advisory Committee (DGAC) met for the seventh and final time to discuss their findings and recommendations. The DGAC will now develop an advisory report for the Secretaries of Health and Human Services and of Agriculture that will provide the scientific basis for the 2015 Dietary Guidelines for Americans policy document developed by the federal government. The almost seven hours of the DGAC meeting are available for viewing HERE. The slides and notes from the meeting are available for download HERE. Presentations at the meeting suggest that the next version of the Dietary Guidelines will have strong advice for Americans to cut back on added sugars, salt and saturated fat. The committee recommended that people should consume diets rich in vegetables, fruits and whole grains, lower in red and processed meat, and low in sugar-sweetened foods and beverages and refined grains. The committee’s “added sugars working group” presented evidence that added sugars, especially sugar-sweetened beverages, increase the risks for obesity and type 2 diabetes. The group found moderate evidence linking added sugars to hypertension, stroke, heart disease and other problems. The DGAC stressed the need to consume less sugar-sweetened beverages, stating water is the preferred beverage choice. “The recommendation to limit added sugars, especially sugar-sweetened beverages, is consistent with recommendations from national and international organizations,” according to the presentation. To view the “added sugars working group” presentation, advance to 328 minutes HERE. Importantly, for the first time, the DGAC recommended that people limit sugar to 10% of their calories, or about 50 grams—12 teaspoons—per day for someone consuming 2,000 calories. It also recommended that Nutrition Facts panels express added sugars not only in grams but also in teaspoons, which some believe is far easier for people to understand. Right before the “added sugars working group” presentation, the “saturated fat working group” stated: The consumption of low-fat and nonfat products made with high amounts of refined grains and added sugars should be discouraged. 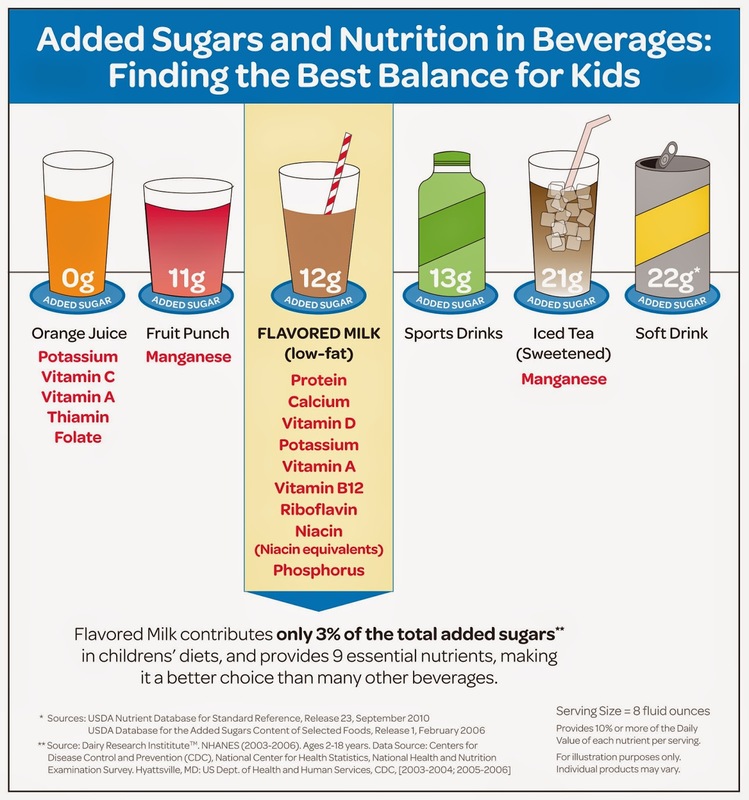 Flavored milk marketers, this should concern you, especially if you market nonfat chocolate milk to schools and have done nothing to lower the added sugars content. According to new U.S. guidelines, all schools may sell flavored fat-free milk. There are no sugar or calorie restrictions on the products; however, portion size is regulated. For specific regulations regarding beverages, including milk, which can be sold in U.S. schools, you can access a comprehensive article I wrote for Food Business News HERE. Here’s the deal, studies show that among elementary school children, milk consumption decreases 35% once flavored milk is removed as an option. What’s a milk marketer to do? The answer is to reduce added sugars and maintain taste. This can be quite challenging, especially in the U.S., as federal regulations require that flavored milk sold through the National School Lunch Program (for reimbursement purposes, not ala carte) can only be sweetened with nutritive sweeteners. Need additional information on the regulations? USDA offers many resources that can be accessed HERE. To read more about how flavored milk in schools has change over the years, link HERE. To read about the policy governing the type of sweeteners allowed in school milk, link HERE. To read about added sugars in dairy foods, including flavored milk, link HERE. 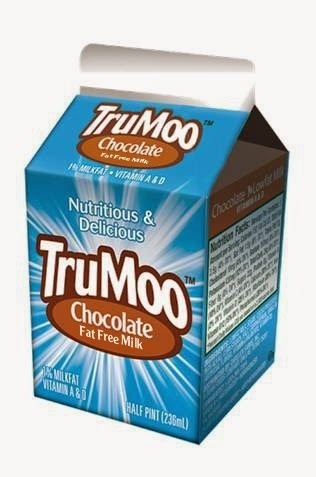 Dean Foods is a leader in the school milk business with its TruMoo fat-free chocolate milk made with 10% to 15% fewer calories and 15% to 20% less sugar than many other chocolate milks. Dean Foods successfully reduced up to 6 grams of sugar, or 1.5 teaspoons, per serving compared with its previous varieties. An 8-ounce serving of TruMoo nonfat chocolate milk contains just 10 grams of added sugar, compared with up to 28 grams in soft drinks and other sweetened beverages. The fact is whether white or chocolate or some other delicious flavor (think mocha, orange cream, salted caramel, the list is endless), milk plays a vital role in helping all consumers, especially children, get the nutrients they need for good health. Flavored milk provides the same nine essential nutrients as white milk, including vitamin D, calcium and potassium. These are three nutrients that many adults and children are lacking in their diet. Studies show that children who drink flavored milk meet more of their nutrient needs; do not consume more added sugar, fat or calories; and are not heavier than non-milk drinkers, according to the National Dairy Council. Access a great video clip HERE from pediatrician Dr. Robert Murray, who explains what the dairy industry has been doing to improve flavored milk in schools. We must never forget that taste is paramount in flavored milk, in particular in schools where the nutrition from that carton of milk is critical to daily nutrient intake. If it does not taste good, the kids will not consume the milk. In a perfect world, school flavored milk would be either 1% or 2% milkfat. Not only would this improve flavor, mouthfeel and nutrition (there are essential fatty acids in milkfat), it would make it easier to lower the amount of sugar—the real enemy—in the formulation. In case you missed last week’s blog, which can be accessed HERE, dietary fat is no longer the enemy. Research shows that more, not less, dietary fat--including saturated fat, such as milkfat--is what leads to better health, wellness and fitness. Natural fat is an essential part of a healthy diet. A growing body of research shows carbs, sugars and processed foods are mainly to blame for obesity, diabetes and other weight-related diseases, not fats. Even though it has been said that 2015 may be known as the year Americans get over their fat phobia, specifically natural, animal-derived fats, it is highly unlikely that milkfat will be allowed back on the flavored milk menu in schools in the near future. So, to make school flavored milk taste better, processors rely on various ingredient technologies. Recently, the Wisconsin Center For Dairy Research conducted a taste test comparing two school-compliant flavored milks, a control (sample A) and one made with Agropur Ingredients’ flavoring technology (sample B). Participants were asked to identify the sample they would like to see in schools. More than half of the participants indicated sample B as the preferred sample to be served. There’s no denying it, sugar is on consumers’ radar. According to findings from the International Food Information Council (IFIC) Foundation’s 2014 Food and Health Survey, 51% of all Americans make an effort to avoid added sugars. 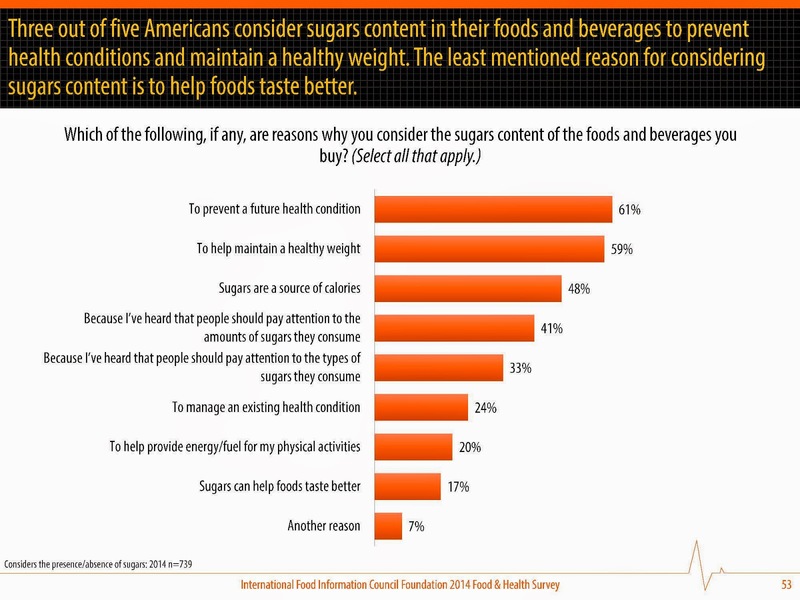 Further, three out of five Americans consider sugars content in their foods and beverages to prevent health conditions and maintain a healthy weight. The least mentioned reason for considering sugars content is to help foods taste better, which suggests that consumers believe that a lower-sugar flavored milk can still taste great. That’s up to R&D. Raise your glass to a better-tasting flavored milk for inside and outside the classroom! Cheers! Over the holidays I had the chance to read The Big Fat Surprise: Why Butter, Meat & Cheese Belong in a Healthy Diet. In this New York Times-bestselling book, investigative journalist Nina Teicholz, who spent nine years researching the topic, upends the conventional wisdom about fats with the groundbreaking claim that more, not less, dietary fat--including saturated fat--is what leads to better health, wellness and fitness. Her research shows that natural fat is an essential part of a healthy diet. This is something we have long known in the dairy industry. Not only is milkfat delicious and yes, nutritious (it’s a source of essential fatty acids, in particular conjugated linoleic acid), it’s also satiating, which means it ultimately helps one eat less and better manage their weight. Interestingly, this week, Josh Schonwald, a Chicago-based journalist and author of The Taste of Tomorrow: Dispatches from the Future of Food, identified “The Rise of Fat” as the number-one (of six) food trends for 2015. He cites commentary from Kara Nielsen, culinary director of the Sterling-Rice Group, who believes 2015 could be known as the year Americans get over their fat phobia, specifically natural, animal-derived fats. Supporting these opinions is the Time magazine cover story from this past June entitled “Eat Butter.” The article explained that a growing body of research shows carbs, sugars and processed foods are mainly to blame for obesity, diabetes and other weight-related diseases, not fats. It’s no wonder that the two biggest trends right now in cultured dairy products are full-fat and lower-sugar, sometimes together. Right after, which should be no surprise, is protein. It’s a hat trick when you get all three, which is the case with Noosa Finest Yoghurt, which recently began offering its two most popular flavors—Blueberry and Tart Cherry--in four packs of 4-ounce cups. Each 4-ounce cup contains 140 calories, 5.5 grams of fat, 14 grams of sugar (including milk’s inherent sugar) and 7 grams of protein. The convenient on-the-go cups join the 8- and 16-ounce containers. 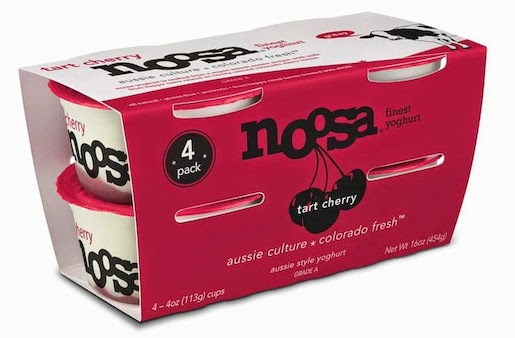 Noosa, described as Aussie-style yogurt, is made using fresh Colorado milk. Inspired by rich, thick Greek yogurts, Noosa is made at the family-owned Morning Fresh Dairy in Bellvue, Colorado. Noosa partners with Colorado-based Beyond the Hive to lightly sweeten its yogurt with golden Clover Alfalfa honey. Such Aussie-style yogurt will likely be copied soon, as one private-label yogurt manufacturer was showcasing its own formulation at the Private Label show this past November. Here’s an interesting spin on fat in yogurt. Though it’s low-fat and not milkfat, the emphasis is on the fat content. 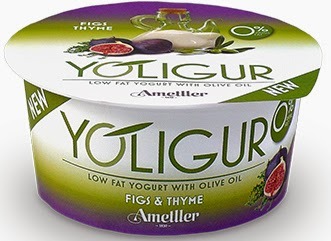 Barcelona-based specialty food company Casa Ametller recently introduced Yoligur, which uses olive oil to replace the saturated fats of milk. The company says this makes for a healthier product, with packages carrying a “0% animal fat” claim. There are five varieties: Apple, Pear and Cinnamon; Figs and Thyme; Original; Persimmon and Peach; and Pomegranate and Orange. Cultured dairy product formulators have many technologies available to assist with lowering added sugars. To read more, link HERE. Using stevia, in combination with other natural sweeteners, is definitely the trend, as marketers want to keep formulations as simple and clean as possible. At the forefront of formulating no-sugar-added yogurt is Sophie Greek Yogurt. Introduced a few years ago, and fine-tuned this past year, this was the only no-sugar-added Greek yogurt in the marketplace until this past week. This nonfat yogurt relies on a combination of all-natural xylitol and stevia, which results in a product with only 5 grams of naturally occurring sugar (from the milk) in each 5.3-ounce container. Depending on variety, there’s either 15 or 16 grams of protein. Varieties are: Banana Cream Pie, Blueberry Cobbler, Caramel, Chocolate, Strawberry Cream, Vanilla and Plain with Fiber. The latter uses oligofructose to provide 2.5 grams of fiber per serving. Yoplait is introducing Yogurt & Juice Nonfat Beverage, which is sweetened with sugar and fructose, as well as monkfruit juice extract and stevia. The latter two help keep calories and added sugars low. An 8-ounce serving contains 110 to 120 calories and 19 to 22 grams of carbohydrates. Thanks to the addition of milk protein concentrate, a serving also provides 6 grams of protein. There are four flavors: Berry Pomegranate, Pineapple Mango, Strawberry, and Strawberry Banana. Speaking of protein, dairy needs to own this, after all “Powerful Proteins Come from Milk.” Read more HERE. 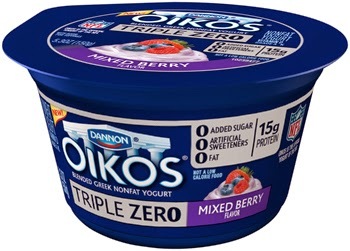 Just this week, Dannon introduced Oikos Triple Zero, a Greek yogurt with 15 grams of protein with zero added sugar, zero artificial sweeteners and zero fat. The product’s formulation, along with its marketing platform (the brand is the official yogurt of the National Football League), showcase Dannon’s continued efforts to engage a wider audience and expand its once predominantly female consumer base to include men. Look for more information on this product this coming week as a featured Daily Dose of Dairy. But in a nutshell, by default, with fat at zero and no added sugars, protein content is increased. To sweeten the yogurt without adding sugar, the formulation relies on a variety of technologies, including stevia; chicory root fiber, which contributes sweetness while also delivering 6 grams of fiber per serving; and the lactase enzyme. Yes, the lactase enzyme assists with sweetening, as well as breaking down lactose to make the yogurt more tummy friendly for those who are lactose intolerant. To read more about “removing sugar while keeping the sweetness,” please link HERE to an article I recently wrote for Food Business News. It describes the science behind using lactase to assist with sweetening, as well as other sweetening tricks that are all ideal for cultured dairy product applications. From sweetener selection, to flavors and colors, to stabilizing ingredients, dairy processors are wise to keep formulations as simple and as clean as possible. Proper culture selection can assist with removing label-unfriendly stabilizers from formulations. Some brands are developing line extensions based on the simple and clean premise. For example, Kraft introduced a limited-edition Philadelphia cream cheese brick this holiday season that is crafted with only five ingredients. 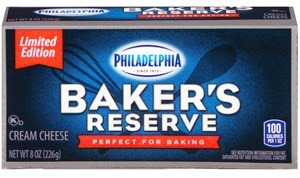 Special-Edition Baker’s Reserve Cream Cheese is made with pasteurized milk and cream, salt, carob bean gum and cheese culture. A 1-ounce serving contains 100 calories, 10 grams of fat and 2 grams of protein. 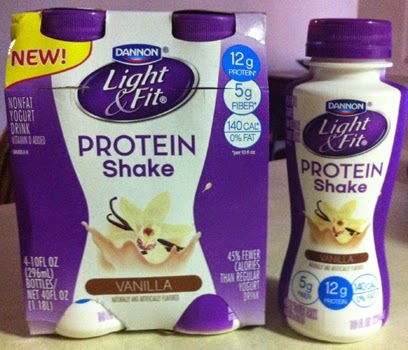 WhiteWave Foods and Dannon are now both in the pouch yogurt business…but both with products once again targeting kids. This package is also an ideal format for high-protein cultured dairy snacks for on-the-go adults. There’s a great deal of opportunity for innovative products delivered via the pouch. Read “Appreciating Dairy Packaging; the Potential of the Pouch” HERE. The new WhiteWave product is called Bonza and carries the trademarked tagline “one-handed” yogurt. The company filed for the trademark on June 9, 2014, and it was issued on December 23, 2014. What a nice Christmas present! There’s a lot of potential with the phrase and hopefully it will be used on yogurt products targeted to adults. Bonza comes in 3.5-ounce pouches in four flavors: Blueberry, Orange, Strawberry and Watermelon. Each pouch contains 100 calories, 2 grams of fat and 5 grams of protein. Whey protein concentrate provides an extra boost of protein. Packages tout the fact that the yogurt contains no artificial flavors or colors, is a good source of calcium and vitamin D, and contains live and active cultures. The latter is something missing in shelf-stable pouch yogurts. Individual pouches sell for about $1.29. 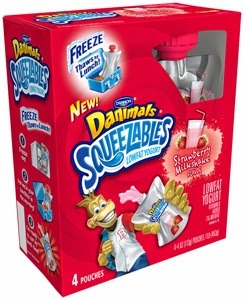 Dannon’s pouch is marketed under its Danimals brand and is called Squeezables. The low-fat yogurt comes in 4-ounce pouches in packs of four. The flavors have whimsical names. They are: Banana Cream, Blueberry Pie, Strawberry Banana Split and Strawberry Milkshake. Like all Danimals products, Squeezables tout the fact that they do not contain high-fructose corn syrup or artificial colors and flavors. They also contain live and active cultures and are a good source of calcium and vitamin D. Each 4-ounce pouch contains 100 calories, 1.5 grams of fat and 4 grams of protein. Yogurt is being used as an ingredient in all types of foods, including other dairy products. Greek yogurt, in particularly, with its higher protein content and thicker viscosity, renders itself as an excellent base for desserts, dips, dressings and spreads. A&M Gourmet Foods has developed a unique spreadable yogurt that can be sold refrigerated or frozen. Sold under its Authentic Menu brand, and also available for private label, the spreadable yogurts comes in four flavors: Apple Cinnamon, Maple, Strawberry and Triple Berry. Made with Greek yogurt, fruit is the number-one ingredient. The product is intended to be spread on top of bagels or used as a topping on crepes, French toast, pancakes and waffles. The unique formulation allows the product to be merchandised in the freezer, right next to frozen breakfast foods, or in the refrigerated dairy or bagel case. Last year at this time, Karoun Dairies livened up the spreads category with Blue Isle Mediterranean Yogurt Spreads. Similar in consistency to cream cheese, the spreads come in five varieties: Blueberry, French Onion, Honey, Original and Spicy Vegetable. A 2-tablespoon serving contains 60 to 70 calories, depending on variety, and 6 grams of fat and 1 gram of protein. 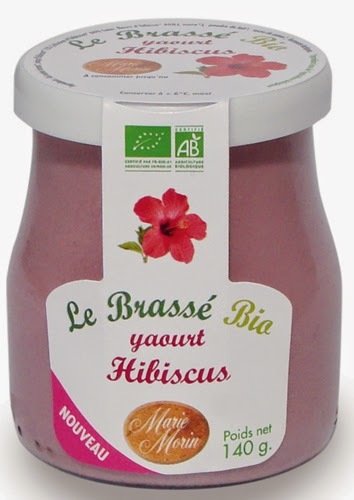 The spreads also contain probiotic cultures and are rich in calcium. 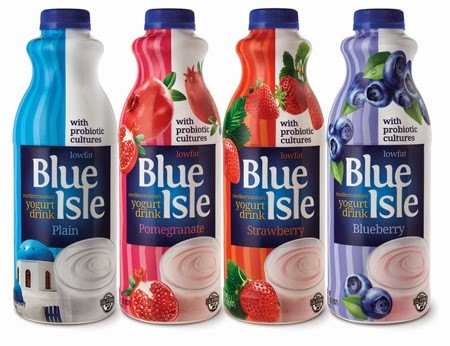 This coming week at the Winter Fancy Food Show, Karoun Dairies will introduce its new probiotic Blue Isle Yogurt Drink in Plain, Blueberry, Pomegranate and Strawberry. 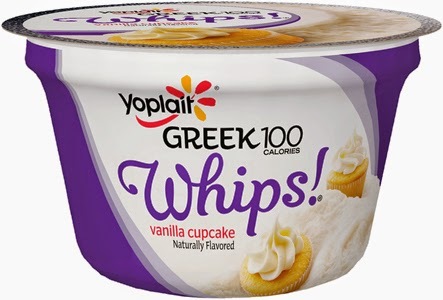 General Mills will soon be rolling out Yoplait Greek 100 Whips. Aeration provides the yogurt with a lighter texture and mouthfeel as compared to Yoplait Greek 100. It also helps keep calories down, as air is calorie free. The nonnutritive sweeteners acesulfame potassium and sucralose also help keep calories down, as well as added sugars. Yoplait Greek 100 Whips come in the same 5.3-ounce container as Yoplait Greek 100, but the aeration yields a lighter product, weighing in at 4 ounces. Varieties are: Black Cherry, Blueberry, Lemon Meringue, Raspberry, Strawberry, Strawberry Cheesecake, Tropical and Vanilla Cupcake. 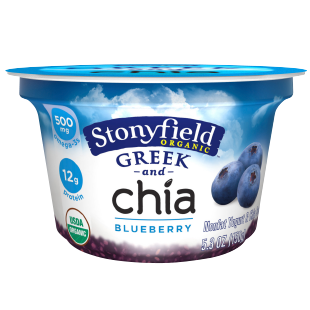 Stonyfield is now putting chia in its Greek yogurt. Greek and Chia comes in three varieties: Blood Orange, Blueberry and (mixed berry) Strawberry, Raspberry and Cranberry. Why added chia? Well, it’s a source of alpha linoleic acid (ALA), an omega-3 fatty acid. Each 5.3-ounce cup delivers 500 milligrams of ALA. Each single-serve cup also provides 130 to 140 calories, depending on variety, and 1 gram of fat and 12 grams of protein. The chia contributes 1 gram of fiber per serving. This past year, Chobani introduced Greek Yogurt Oats, which bridges the breakfast gap between yogurt and oats. This new breakfast-focused product is a blend of creamy Greek yogurt, with 10 grams of protein, 8 grams of whole grain and 3 grams of fiber from gluten-free steel-cut oats and real fruit. A 5.3-ounce cup contains 160 calories and is loaded with all-natural, flavorful ingredients including real fruit and maple syrup. It comes in four varieties: Apple Cinnamon, Banana Maple, Blueberry and Cranberry. The Millennial consumer wants to try new foods and flavors and this is driving ethnic fusion foods. Anything is possible. Innolact in Spain offers innovative cream cheese spreads. 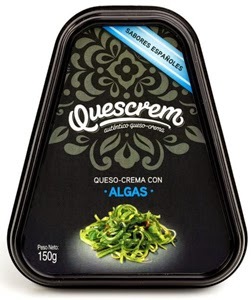 Marketed under the new premium Quescrem Sabores Espanoles brand, the Queso-Crème Con line comes in three ethnic flavors: Algas (seaweed), Chorizo and Aceitunas (olives). The Dean’s Dips line recently got heated up with some new spicy options that are bound to appeal to the millennial consumer, one of the biggest users of boldly flavored condiments such as refrigerated dairy-based dips. The two new offerings are Sriracha Spicy Thai Chili and Buffalo Ranch. In early December, it was reported that Taiwan’s National Quemoy University’s Department of Food Science developed a yogurt beverage made of black garlic and milk. The beverage contains a much higher antioxidant content that promotes the prevention of cardiovascular diseases, according to the university. This year we can expect to see more cultured dairy products positioned as healthy dessert options. A recent introduction that is bound to drive this trend comes from the Oikos brand. 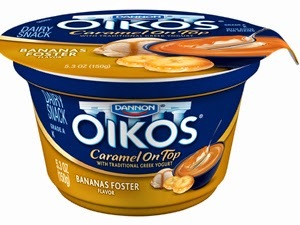 New Oikos Chocolate On Top and Oikos Caramel On Top are a new format of the popular high-protein yogurt. Each 5.3-ounce cup is Greek yogurt topped with a dollop of smooth creamy chocolate or caramel. The chocolate varieties are Raspberry Truffle and Chocolate-Covered Strawberry and the caramel offerings are Bananas Foster and Caramel Macchiato. Even with the extra layer of indulgence, the dairy snacks still pack in the protein, with each single-serve container providing 10 grams. A serving also contains 210 calories and 4.5 grams of fat. 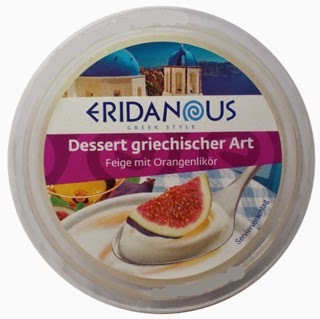 German retailer Lidl now offers private-label Eridanous Greek-style Desserts, which start with a base of cream and yogurt, followed by a layer of fruit and liqueur (2%). There are three varieties: Dates and Orange Liqueur, Fig and Orange Liqueur, and Strawberries and Orange Liqueur. The single-serve chilled desserts come in 135-gram clear plastic containers. A serving contains 275 calories, 12 grams of fat and 3 grams of protein. 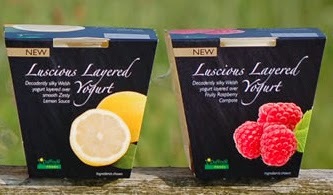 In the United Kingdom, Daffodil Foods now offers Luscious Layered Yogurts. These dessert-style yogurts are made with Welsh milk yogurt layered over fruity compote. Varieties are: Alphonso Mango & Passion Fruit, Fruity Raspberry, Senga Strawberry, Succulent Summer Berries, Timperley Rhubarb and Zesty Lemon. The yogurts do not contain any colorings, modified starches, glucose syrups, artificial sweeteners or artificial flavorings, so they are perfect as a healthier dessert option, according to the company. With a crystal clear unprinted pot, they look great on the dining room table. The pot allows consumers to see exactly what they are buying and eating. France’s Marie Morin, a family-owned company specializing in dairy desserts, celebrated its 20th birthday this year. To commemorate, the company introduced a line of full-fat, dessert-style yogurts that are sold in 140-gram premium glass pots. The varieties are: Apricot, Blueberry, Hibiscus, Raspberry, Plain and Vanilla. Cottage cheese has everything going for it in terms of composition. It is best tasting when it’s made with whole milk. It does not need to be sweetened. And it’s high in protein. What it needs is better marketing. Read more about the opportunities in cottage cheese HERE. Once again, Happy New Year! Hope this blog provided some ideas for innovating.